Would you pay for subpar oral care? We do a full anesthetic dental cleaning nearly every day at the clinic. 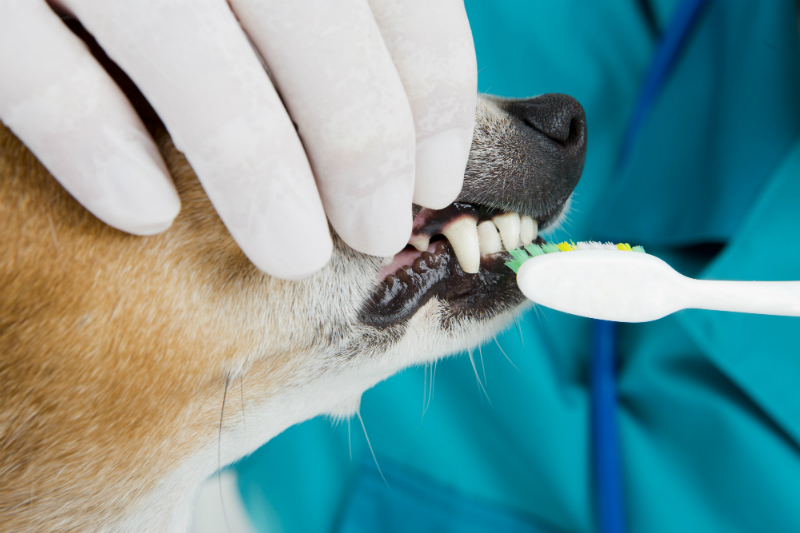 This is treated as a full day surgery – we do pre-anesthetic blood work and the pet is fully anesthetized and monitored while we take x-rays of the pet’s mouth, proceed with any necessary extractions and are able to scale and polish the visible part of the tooth and the part that is found under the gum line. There are many nonprofessional and non-veterinarian services in Calgary and the rest of Canada that offer dental cleanings without anesthetic – this could be with or without any type of sedation. While these services are no doubt cheaper than taking your pet to the veterinarian, they are not worth the risk. It could be compared to buying a car. You go to a dealership and look at brand new and used cars. They are a bit more pricey, but well cared for. You then check on Kijiji, and a guy in the city is selling a used car for much cheaper than the dealership could do. You decide to purchase the car you found on Kijiji. A month later, the car’s transmission blows and the engine seizes. The money you have to spend to fix this car ends up costing you more than it would have to just buy the car from the dealership in the first place. This analogy helps demonstrate the risks associated with nonprofessional dental services, although the risks are much more severe. There are two main concerns associated with sedation dentistry. Firstly, tartar on a pet’s teeth can be compared to an iceberg – 80% is below the surface. When scaling teeth, only a minimal amount of the tartar comes off from the visible portion of the tooth. When the pet is only sedated and not anesthetized, it is often difficult and/or painful to get under the gums to do a full cleaning where the majority of the problem is found. When the teeth aren’t fully cleaned the tartar quickly reappears to cover the part of the tooth that was cleaned, and another dental is needed. It can even make the problem worse. If the teeth are scaled and the enamel has been roughened and not polished, the tooth dirties easier in the future. In the analogy, this represents having to spend money to have your Kijiji car fixed. The second major concern is that the pet’s airway isn’t protected with an endotracheal tube during nonprofessional dental cleanings. This is important for two different reasons. The endotracheal tube is the tube that is inserted into the trachea in order to ensure air flow to the lungs. Without a tube, a pet’s oxygen levels cannot be monitored. The second concern is related to the nature of tartar – it is full of bacteria! Under sedation with no endotracheal tube, that tartar can easily be flicked and make its way down the throat and into the lungs and gastrointestinal tract, causing further problems. After a nonprofessional cleaning, many people find themselves at a veterinarian needing a full anesthetic oral surgery in order to correct or finish the first attempt. Even though your pet’s teeth appear clean, and even though the veterinarian could think the teeth look great, the problem under the gums persists. The Alberta Veterinary Medical Association posted a recent article on their Animal Health Source website regarding the dangers or nonprofessional cleaning, and the benefits of having a proper anesthetic done at a veterinary hospital. 1) Feeding a dental diet – this includes diets like Hill’s Prescription T/D, and Royal Canin Dental. 2) There are many treats that are specifically targeted towards preventing tartar buildup, such as the Vetoquinol Dentahex, which contain Chlorhexidine, an antibacterial agent, that is widely used in oral care routines in humans and pets. 3) Many pet owners frequently brush their pet’s teeth – this is amazing! We brush our teeth twice daily at least, so one can imagine the benefits from brushing out pets teeth. 4) There are water additives that can be added to your pet’s drinking water – these also help prevent the buildup of tartar on the teeth. Would you accept subpar dental care for yourself or your kids? Don’t accept it for your pet either!